DISCOUNTED FLOWERS - CLEARANCE ITEMS! 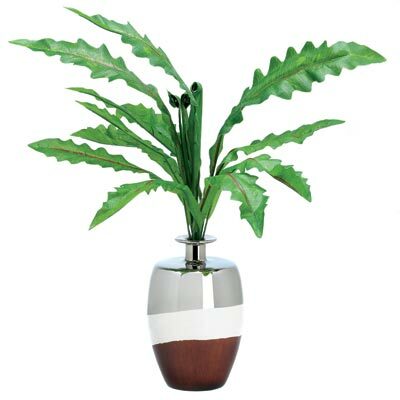 We ahve unique discounted flowers, like artificial flowers, orchid flowers , flowers in a baskets, rose flowers. Check more of our discounted flowers! 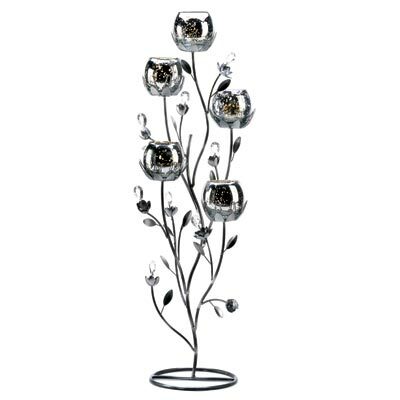 D1086- Silver Tulip Tree Candelabra. 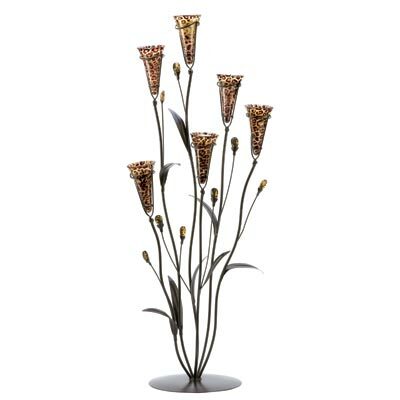 Winter fire glows from every surface of this silvery candle stand, as a quintet of tulip blooms fills the room with light. 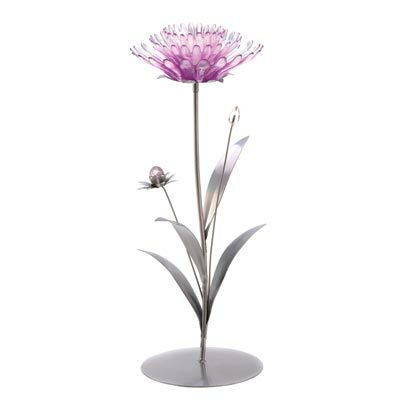 This elegant candle stand adds instant drama to even the simplest surroundings!